Bonschelle Blog: Start the new year with style! Start the new year with style! 2015 has arrived. We can't believe how fast 2014 flew by. The new year is a great time to get yourself feeling renewed - eat more healthily, take more exercise, spend more time with loved ones. It can also be a great time to try something new and change up your style. Try a new colour, a new style shape. Be bold and daring! Why not try our unique designs at Bonschelle to complement your own individual style? 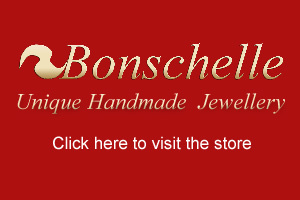 Now's a great time to do this as until the end of January Bonschelle are offering up to 40% discount on select jewellery items that are ordered. All designs are unique so you won't find them on the high street, and our beautiful bronze range is sure to add a touch of elegance and style to your look. Visit Bonschelle to see what's on offer.